At Coniston rather early for a l mile swim. Not much to do except draw ducks! 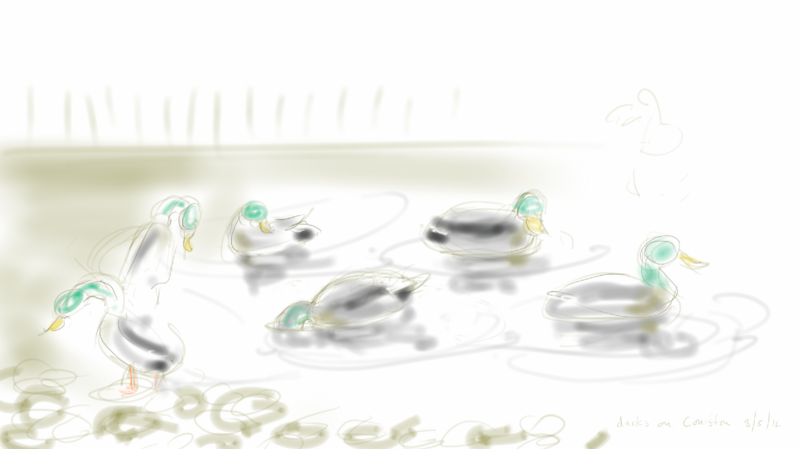 This entry was posted in Birds and tagged art, Coniston, Cumbria, digital sketch, drawing, ducks, illustration, tablet sketch on May 3, 2014 by Nancy Farmer.